From the comfortable quiet of his bedroom, Milo watched as the archaic computer proceeded to turn on and then boot up, that familiar resuscitation sequence that brought machines to life. An aberrant squelch emanated from the tiny speaker inside. There was a problem. “It’s definitely broken,” Milo said as he pushed his glasses back into place. Having suffered through another week of school, it was finally Saturday and he was back to more enjoyable pursuits. The following Saturday, with the first week of school finally retreating into memory, Milo awoke to a very special day: his birthday. Having a birthday that fell around the start of school, Milo was used to it being overshadowed by one of a countless number of activities that fill the calendars of helpless school children, but this year was different. Milo trudged through the doors of Bright Futures #127, knowing that today marked the start of a whole new year of not fitting in. He tried to remind himself that the move was necessary, but he had a hard time processing a big change like this. It was hard enough entering a room with people he didn’t know, let alone a whole school, so he already knew that this was going to be next to impossible. Marvin watched the rain slide down the windshield of his vintage VW bus, its gentle patter providing a cadence to his deep thoughts. Absentmindedly he twisted his beard with one hand, while the other gripped the timeworn ring of the steering wheel. It had been almost a week since Milo’s birthday and Marvin still regretted not telling him the truth. It was such a special day that he felt it would have been cruel to interrupt the festivities, but now he felt very alone without Milo by his side. After an inordinate period of preparation, Singular has launched! It is incredibly exciting that this story which has been locked away in my brain for all these years can finally leap out and bounce around in yours, hopefully to entertain and inspire. I know you want to hear how I died — that much is customary — but I suspect you might also want to hear me apologize. There will be none of that. I might have made a mistake or two, but the only thing that is truly important is the successful completion of the experiment. 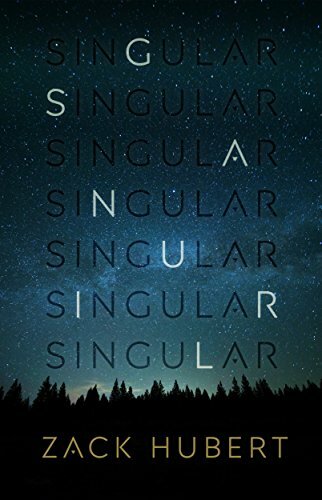 It may comes as no surprise, but every time I sat down to write an update about writing Singular, I decided to write Singular instead. So what do you do when you have an idea for a book but no clue what to do next?